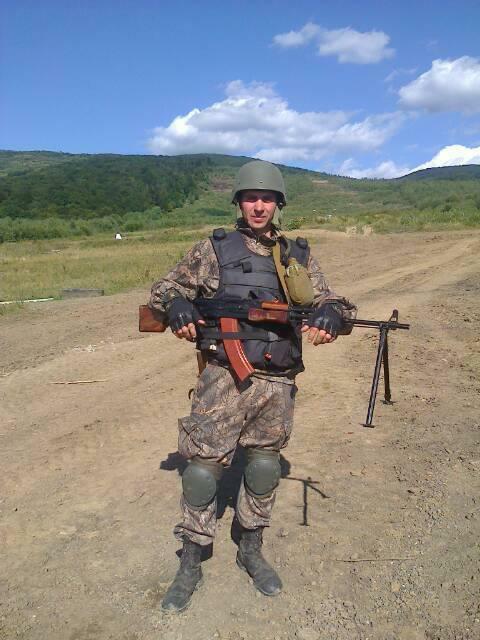 On February 16, 2015, a soldier of the 128th Separate Mountain Infantry Guards Brigade, Leonid Moroshan, callsign “Kozak Shaman,” was seriously wounded in the battle for Debaltseve. Leonid was taken to hospital with shell fragments in his lung, shrapnel in his shoulder, and an open fracture of the leg above the knee (the bone was fractured – thank God, the doctors were able to save it from amputation). Volunteer Andrew Merezhko wrote about this on his Facebook page, reports Tsenzor.NET. 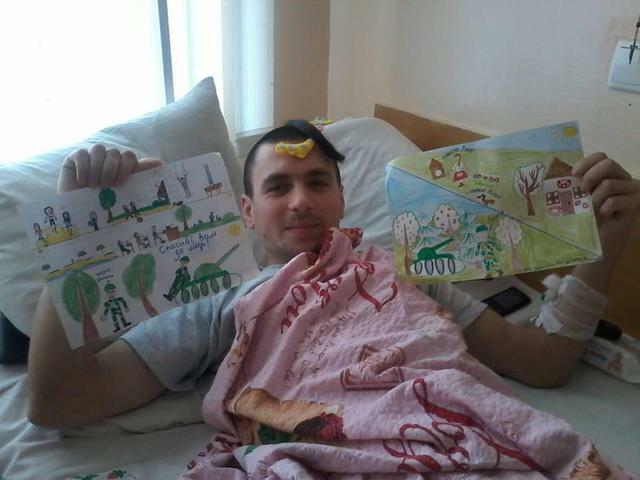 On February 18th, Leonid had surgery in Artemivsk, and then was transported to Kharkiv. On Tuesday, March 24th, the doctors operated on Leonid’s leg for the fourth time, but they did not pull the fragment out, because they cannot locate it. 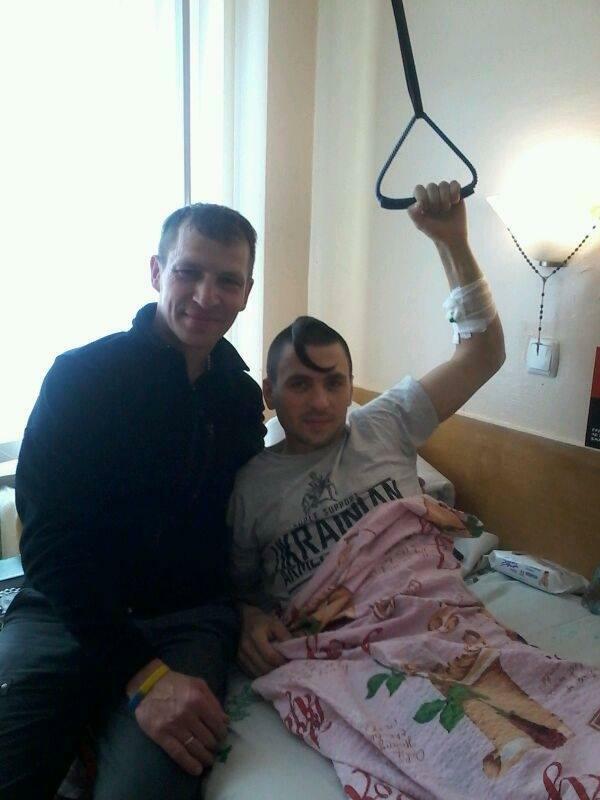 Today, the soldier is being treated in a hospital in Vinnytsia. On Thursday, I went to check up on him. On March 11th, they did another operation. It went well, but his body is already exhausted by the antibiotics and other medicines, his stomach was empty until lunch and he did not want to eat. His leg is in pain and requires painkillers, it’s now being stretched with weights. He has 31 stitches in just one leg… Today, the pain decreased a little, his mood improved… his condition is stable, we’re waiting for the next operation! After lunch, Leo was feeling a little better. The children’s drawings and crafts that I’d brought with me put a smile on his face. 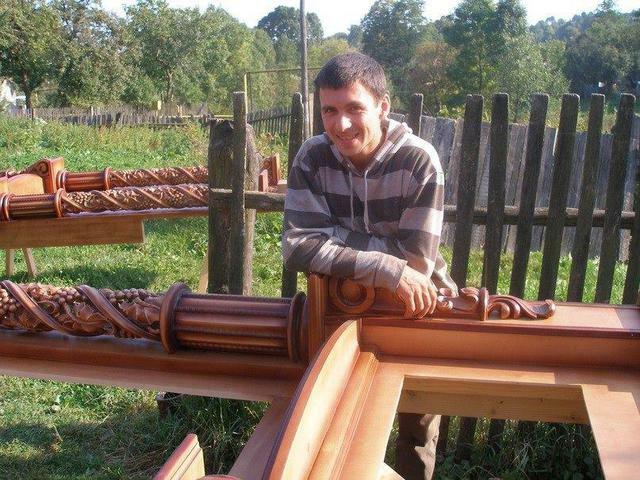 For Leonid, a very long-term rehabilitation is still ahead. I, Andrew Merezhko, am addressing friends and strangers! Please help! 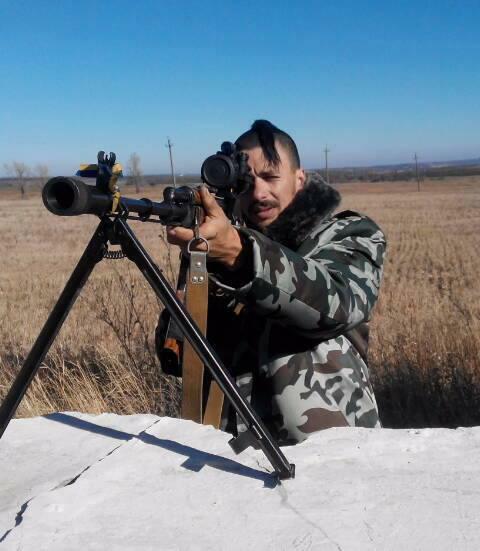 I did not ask [for help] during the events of Maidan, I did not ask when the war began, but I am asking now, not for myself, but for our Ukrainian guy – Leonid Moroshan, a true patriot, who went through Maidan from start to end, who fought in eastern Ukraine for over six months, with whom we stood shoulder to shoulder on Maidan during the hottest days [of fighting], and [he’s] a first-class master of woodcarving in civilian life. 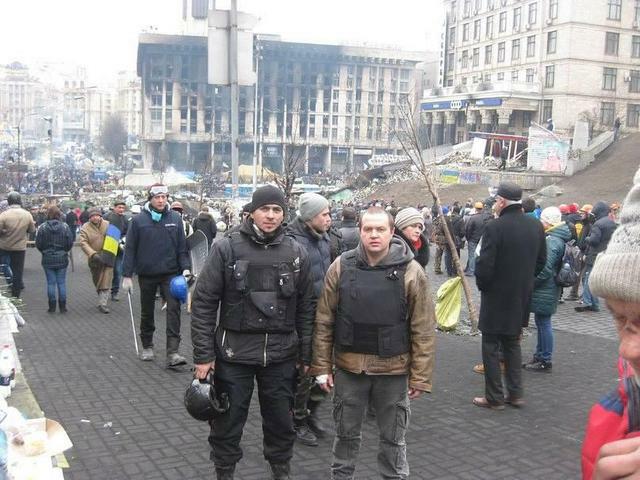 He is a real fighter, he has always been on the forefront; as [he was] on Maidan so [he is] in the war. 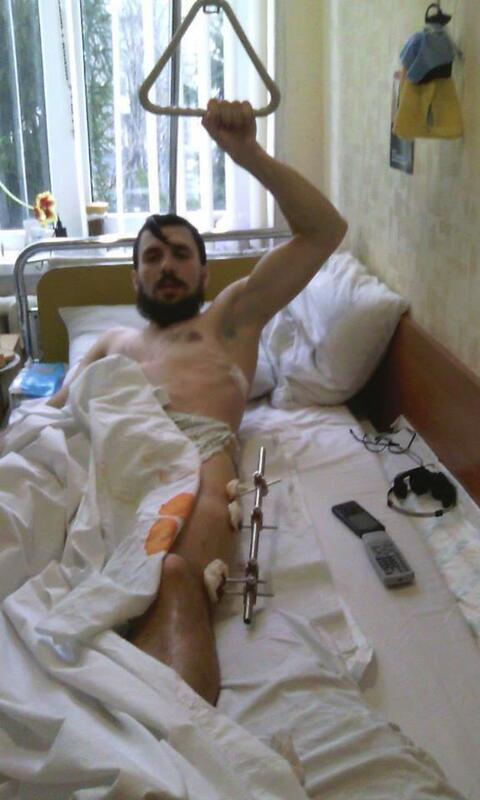 During his whole time on Maidan, he received 16 stitches as a result of various injuries (hand, knee, face, neck). Every drop makes the ocean. It is YOUR help that will make a difference for him. Thank you! “- says the volunteer. Would you like to help Leonid? This entry was posted in English, English News, Pictures, South&Eastern Ukraine and tagged #FreeKolchenko #FreeChirniy, #FreeSavchenko, #freesentsov, #RussiaInvadedUkraine, #StopRussianAggression, #UkraineUnderAttack, Ukraine. Bookmark the permalink.